​The Fountain Park Bandshell is located in the one square block in downtown Sheboygan. The chalet style bandshell was designed by Bray Architects, and built in 1966 for a cost of $40,600. According to Mayor Mike Vandersteen, the Jaycees were instrumental in raising the funds needed for it, first by selling brats, and second by charging a minimal charge for showing the movie "A Hard Days Night". The Sheboygan Pops Concert Band performs regularly during the summer. Programming is managed by the Tourism Dept. Other events are also held at the park, such as the Rotary Lobster Boil and the biweekly Farmers Market. At one corner of the park, there is a 46 foot high Civil War Memorial made of granite from Barre, VT. It was dedicated on October 17, 1889, with 2,000 people attending. 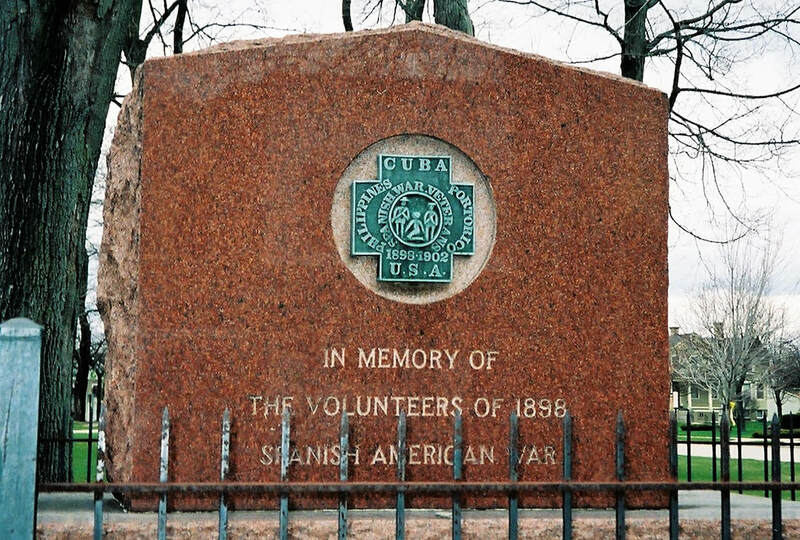 Another monument present is to honor the volunteers of the 1898 Spanish American War. First set aside by the city council for a city square in 1817 and originally known as Evergreen Park, Fountain Park took many years to develop. In 1875 drilling started to access water for the fire department. Several cisterns were built and filled while drilling continued. At drilling depth of 1,475 feet water was discovered that was from an artesian well and pressure was such that it could raise a column of water 96 feet above the ground. It did not take long, however, for the fire department to discover that the water's strong mineral content was corroding the fire equipment. The water source was abandoned in favor of water from Lake Michigan. However, on the positive side, the water's strong mineral content was thought to promote health, and access to these waters was made available to the public during early and evening hours. The Sheboygan Mineral Water Company paid the city to bottle the water during the daytime hours and for many years it was sold around the world, even to the White House.